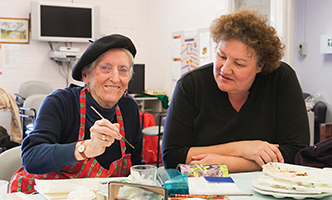 Communities@Work is a broad-based social enterprise that works across Canberra to deliver high quality children’s services, community services and qualifications and training in early education and care. With nearly 40 years of experience, we understand the needs of our local community. Our professional staff and friendly volunteers are here to help you and your family. Connect with us today! A resilient and socially inclusive community that cares for the well-being of all. To deliver quality community services of social value and practical benefit. We earn the confidence of the community by instilling these qualities throughout every aspect of Communities@Work. We respect everyone we deal with, care about everyone in the community and value difference and diversity. We are adaptive and agile in pursuing the vision of Communities@Work, with a proactive approach to change and progress. We are committed to excellent service delivery, underpinned by continuous improvement and innovation. We ensure our services are relevant and appropriate as we build our capacity for a sustainable future.